Places to stay in Newquay and surrounding areas in Cornwall. Looking for accommodation near us? We now have our very own Newquay Activity Centre accommodation! 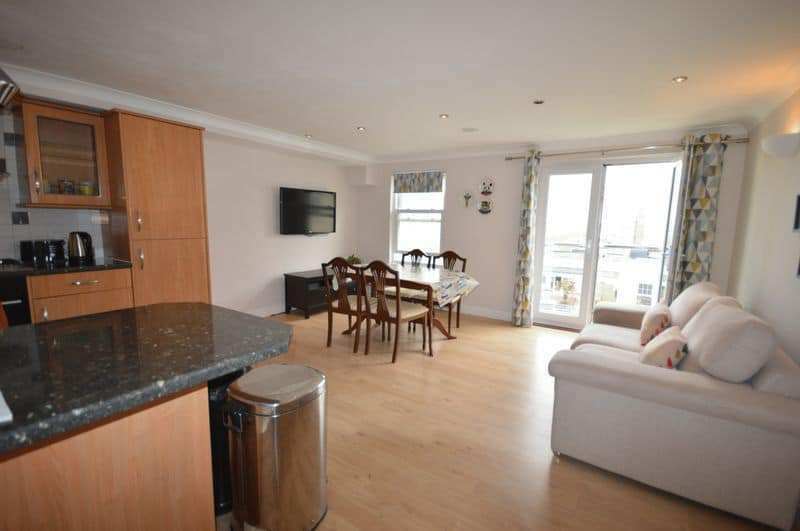 Spacious 2 bedroom (can sleep 6) modern apartment, overlooking Pentire headland with amazing seaviews is excellently located near to golden sandy beaches and Newquay town centre. Fistral Beach is 8 minutes walk away and the Gannel estuary and beach walk to Crantock beach is 5 minutes. The unique coastal location allows guest to take the coastal paths to beaches or main road. Based on the third floor, (with elevator or stairs access) with a large lounge with a private south facing balcony, perfect for catching some sun, checking the surf and taking in the amazing pink sunsets. 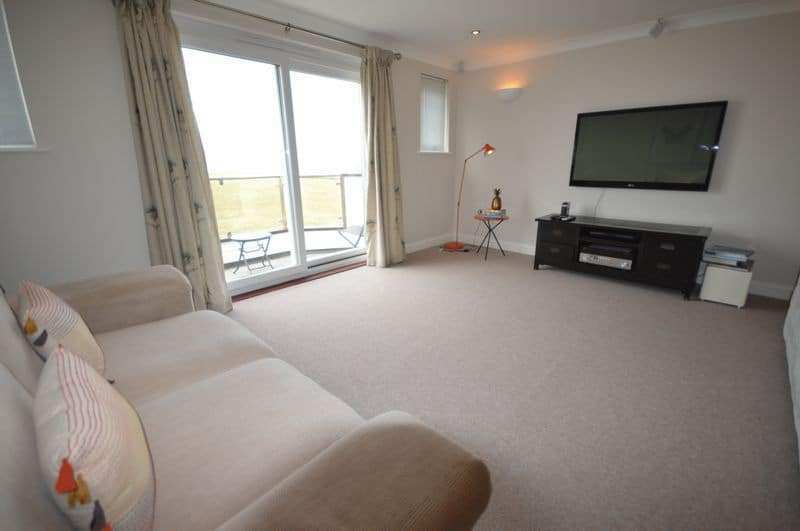 Second bedroom – With seaviews of Fistral Beach and good storage. It has a separate bathroom and toilet and beds an be arranged into single or double bed. Also, new sofa bed in the lounge, which is a double. Open plan kitchen and spacious dining area, with TV, juliet balcony with seaviews of Fistral Beach. Private off road parking. Contact: Claire on [email protected] for booking and more information and images. We also work with many accommodation providers in the local area to ensure you have a great place to stay so you can focus on enjoying our activities! We’ve grouped the accommodation for ease, just click on the option that interests you. Description: The Carnmarth Hotel is right on our doorstep, perfectly positioned to enjoy breathtaking sea views over one of the UK’s most iconic beaches combined with contemporary style, modern facilities, a friendly family welcome and stunning service. Stop off for a cream tea, a light bite or try out one of our many Cornish produce behind the bar. Newquay Activity customers enjoy 10% off food and drink as well as special deals on room rates. Description: Perfect for luxury breaks in Cornwall, our spacious, contemporary suites beckon you to take a deep breath of sea air and relax amid coastal panoramas. Our emperor beds are made up with Egyptian cotton linen and rooms include plenty of high-tech features, such as DAB radios, Bluetooth speakers and Smart TVs. We also provide little extras –including homemade biscuits, organic toiletries and cosy bathrobes – to make your stay in Newquay even more special. Located just footsteps from the South West Coast Path and a pebble’s throw from Fistral and Crantock surf beaches. Dog-friendly hotel rooms available on request. 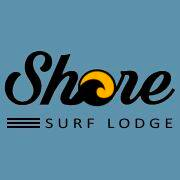 A centrally located Surf Lodge open year round and offering a selection of rooms for visitors to Newquay, Cornwall. With an on-site cafe / bar and storage for surfboards and wetsuits, it’s a great place for surfers looking for a comfortable and secure base whilst they enjoy the waves and local area. Prices vary from £20 – £70 a night for included continental breakfast and there’s on-site car parking availble. Newquay Surf B&B is located centrally, on Berry road, a short distance from the town centre. 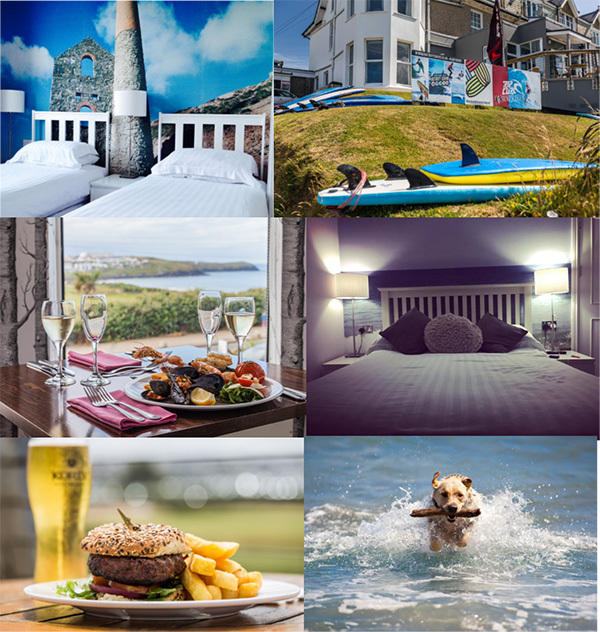 Newquay Surf B&B offer the ultimate in contemporary holiday accommodation with a prime location for a surf holiday in Cornwall, corporate team building events, a group or family holiday / short break or just comfortable accommodation near the sea to escape a hectic lifestyle. Also perfect for school trips or military groups. The Harrington is a large town house in a central location situated within a short walk of all that Cornwall’s premier resort has to offer. Excellent value accommodation with free Wi-Fi and free parking. We have created a small luxury boutique-style bed & breakfast, catering mainly for couples. 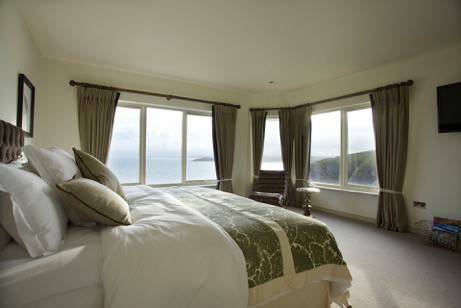 Our relaxing rooms have stunning sea views overlooking the popular Towan Beach, The Island and Newquay harbour. All our bedrooms have all the facilities you would expect to help you enjoy your stay. Ideally situated close to the heart of Newquay with all of the towns main attractions close by for all to enjoy. Our aim is to provide all our guests with a relaxing and quality stay in our friendly, family-run B & B.
Degembris inspires imagination of former times, remaining an unspoilt gem of Cornish history. Now in its 5th generation of the Woodley family, past and present come together to provide farm accommodation at its best. Be pampered in the homely 4-star Silver Award farmhouse bed and breakfast or experience the freedom of the luxury 4 star Gold Award self-catering cottages, something to suit all tastes! Located in the heart of Cornwall, Degembris is the ultimate holiday base. The beauty and diversity of this county can be discovered with ease, the north coast just a few minutes away and the south reachable within half an hour. Tuck yourself away in this secluded tranquil spot and treat yourself to a restful, relaxing break. Guest lounge, large garden and views over the lake. 1 cottage sleeps 4, 1 double room and 1 twin room, sharing a family bathroom. All cottages are fully equipped and supplied with linen and towels, electric included. Type: Caravans, Touring and Camping. Families/Couples. Description: Cornwall’s Holiday Park of the Year and South West England’s Holiday Park of the Year 2017! 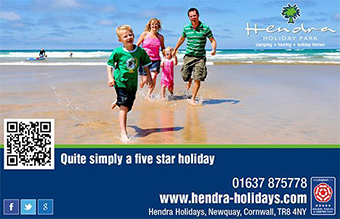 Gold Five Star and Gold 5 Pennant rated Hendra is one of Cornwall’s premier parks, set in 80 acres of picturesque countryside minutes from Newquay’s golden sand beaches. Hendra’s superb award-winning facilities are perfect for families with children of all ages to enjoy first class entertainment, superb activities, and indoor and outdoor play facilities. The spectacular Oasis Fun Pools complex with its flumes, waterfalls, river rapids and water cannon is perfect whatever the weather. There is also Hendra’s entertainment venue, family sports, outdoor activities including Archery, Segway Tours and Bush Survival lessons, amusements, cafes, takeaways, restaurant, bars, and a supermarket. Plus a whole range of activities including Sea Scooters, Snorkeling, Rookie Lifeguards, Pirate Academy, Hoverball Archery, Soccer Stars and Toddler Splash sessions! Monkey Tree Holiday Park & Campsite in Newquay is an award winning family Holiday Park just minutes away from Perranporth & Newquay. 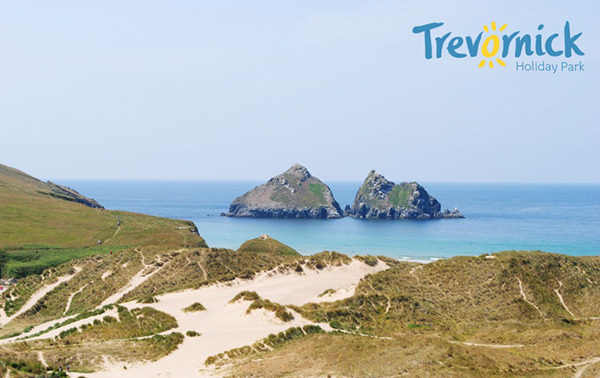 Situated on the North Coast of Cornwall, they benefit from having some of Europe’s finest beaches just minutes away. 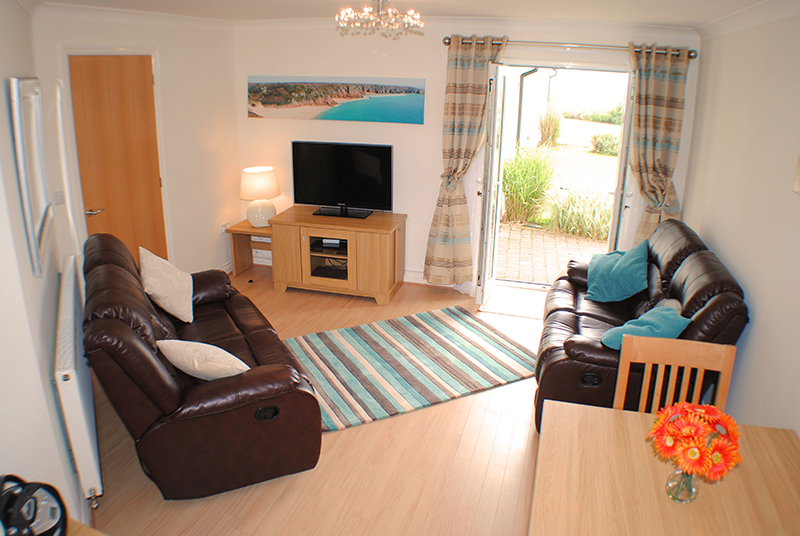 Monkey Tree Holiday Park has an excellent range of static holiday homes to suit all tastes and budgets. The choice of caravan and camping pitches is superb, from standard non electric to those with hard standing, electricity, water supply and mains drainage and even private bathroom facilities if required. An eco-friendly Holiday Resort nestled in 27 acres of Cornish woodland, just a short stroll from the golden sands of Mawgan Porth beach. 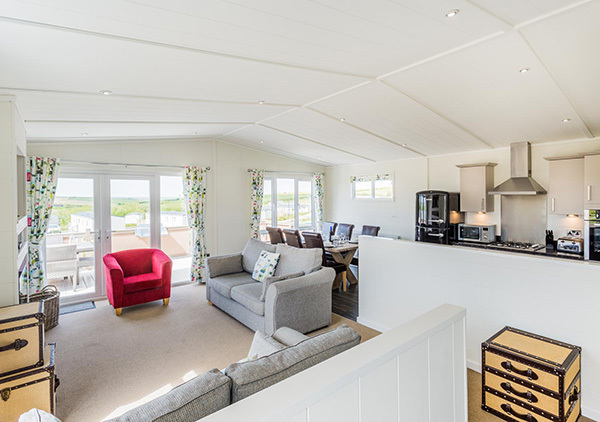 The Park offers a smart yet relaxed selection of self-catering accommodation that will suite couples, families and groups alike; ranging from luxurious Eco-terrace houses that boasts hot-tub and wood-burner to yurts, retro airstreams and traditional lodges and cottages. The Park Café serves delicious home-cooked food throughout the day and The Park offers indoor and outdoor swimming pools too. Type: Treloy Touring Park offers pitches for tents, caravans and motorhomes, from Easter or April 1st through until September 30th. 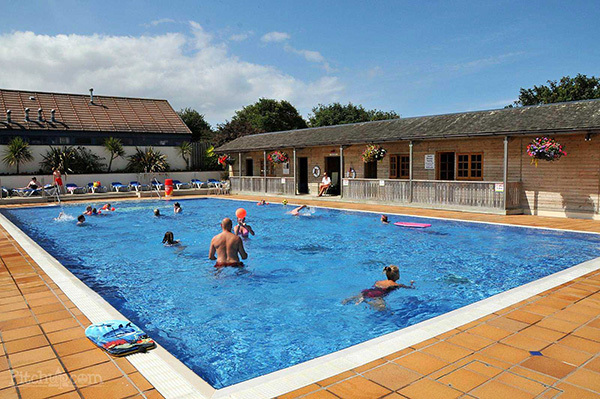 Trevella Park is an outstanding holiday park near Newquay in Cornwall. 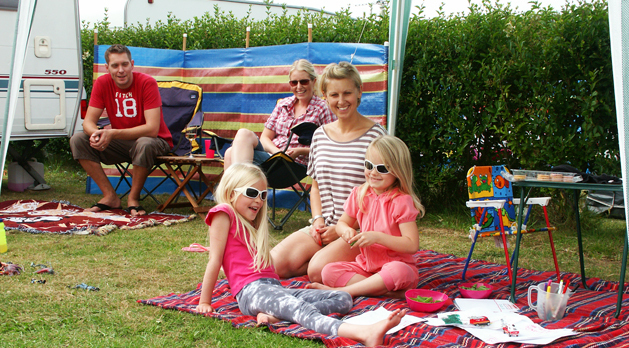 Try us for amazing camping and caravan holidays in Cornwall – voted the UK’s favourite holiday region! We believe that simple pleasures fill a family holiday with happy memories; a first bike ride, flipping rocks in search of crabs, flying through the air on a rope-swing, or swimming solo for the first time. Type: Caravans, Touring, Glamping, Camping and Cottages. Description: Trevornick Campsite is one like no other; tucked away behind Holywell Bay’s extensive sand dune systems it’s a home away from home with an large selection of facilities and accommodation options, all with amazing views. The site is a practical option for dog owners. Description: Piran Meadows offers luxurious, self-catering accommodation in a 5 star setting. Surrounded by the beautiful Newquay countryside, you can enjoy a full Go Active + programme, with archery, target sports, mini jet skis & large climbing bolder, as well as an indoor heated swimming pool and the onsite Serenity Spa offering Aromatherapy Associates treatments to relax your mind, body and soul, with a state of the art gym to keep up with your work-outs. 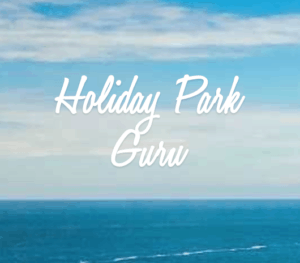 Description:Holiday Park Guru was created by a former BBC journalist and is the sister site to Isle of Wight Guru. It offers a comparison of holiday parks in resorts such as Devon, Cornwall and Dorset by looking at reviews, price, location and facilities. Some of the links on this site create revenue, but we also include unaffiliated links to holiday parks which we like the look of. A 5 star resort that sits high above the beach and fishing harbour of Portreath, Cornwall. Our luxury lodges have sea views and stunning details from hot tubs and log burners to accessible accommodation and pet friendly lodges. Just steps from the lodge door you’ll find a vast array of activities, from the challenge of The Famous Nine golf course to hand feeding foxes and flying owls at Feadon Farm, coarse fishing, archery, zorbing, soft play, indoor climbing, swimming and much more. Indulge in fantastic food at The Terrace Bar & Restaurant, Base Camp Café or the Lakeside Café or simply spend time relaxing at the Wellbeing Spa. 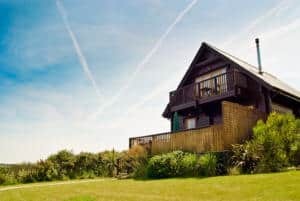 Located in the sought after area of Newquay, the Natural Retreats residences set the standard for self catering holiday accommodation in the area. Our one to four-bedroom spacious luxury apartments offer a high quality contemporary finish and are situated within a five minute walk from the beach. From our three penthouse apartments with supreme views of Fistral beach and the bay beyond, to our garden apartments, with private courtyards, every Natural Retreats residence has been built to exceptional design standards for the ultimate comfort during your stay in Fistral Beach. 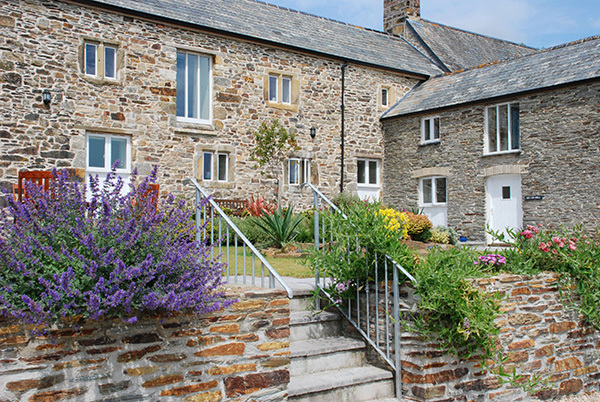 Cornish Cottage Holidays have been providing quality cottage holidays throughout Cornwall for over 40 years and proudly offer a range of over 500 fabulous holiday cottages. Whether you are looking to walk the Cornish coast path, relax by a secluded creek, enjoy a stretch of golden sand or trek the spectacular moors, we will be happy to help you find your perfect Cornish Cottage Holiday. 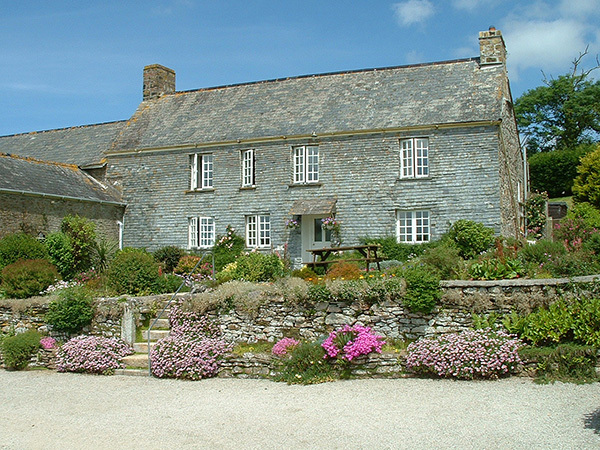 Type: Self catering holiday accommodation throughout Cornwall. 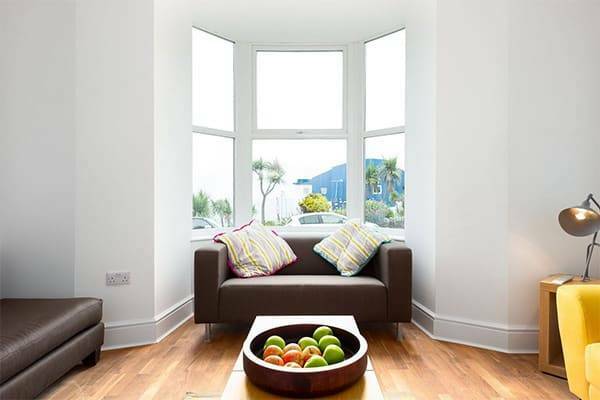 Fistral Retreats, is a privately owned luxury, modern and spacious ground floor apartment by Fistral Beach. It is a natural choice for couples, families, friends, romantic breaks and honeymooners. It has 2 spacious double bedrooms, master with en-suite; modern and spacious well equipped kitchen with all “mod cons”; comfortable lounge with reclining leather sofas; spectacular views of Fistral Beach and coastline; spa bath; landscaped grounds where you can picnic and private dedicated parking. It also holds a 4 star Quality in Tourism rating. No car is needed as transport links are close by. 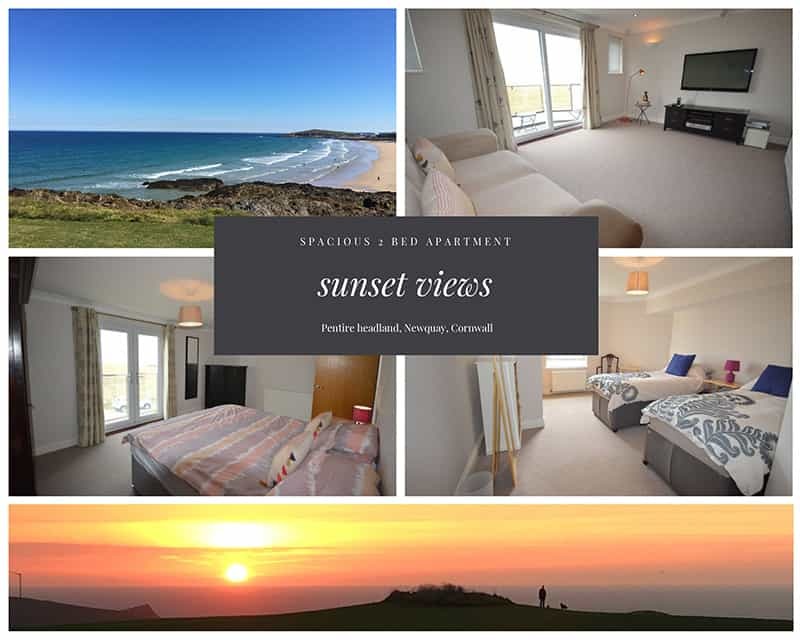 Situated on the quieter more desirable Pentire Headland on the coastal path between Fistral Beach Beach, the River Gannel and the quaint village of Crantock, beach and sand dunes. Within a 15 minute walk of Newquay Town and Harbour. Ideal base for touring Cornwall. Open all year. See our web site for availability and Trips Advisor reviews. Luxury coastal holiday homes that are on or near a beach in Cornwall & Devon. Every guest has access to our complimentary concierge service to help make their stay perfect. All our luxury self catering beach houses are within one mile of a beach, most have sea views and they provide the perfect retreat for luxury beach holidays. Choose from a fantastic selection of self-catering cottages in and around Newquay, from dog-friendly cottages to romantic properties with a hot tub. 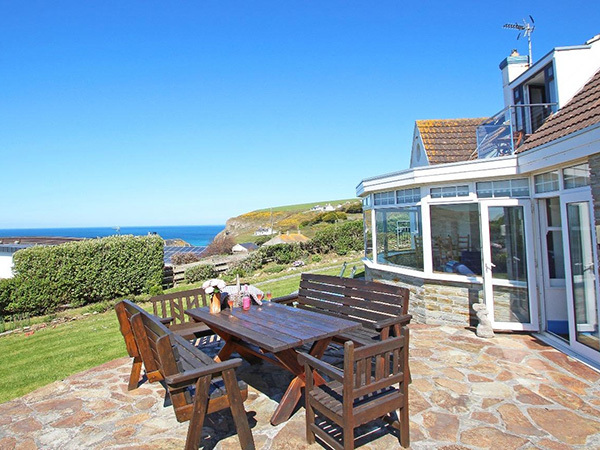 Sykes have been providing high quality accommodation for over 25 years and with more than 170 cottages near Newquay, you’re bound to find the perfect holiday cottage for your trip to Newquay. Seaview is a large town house, recently converted to modern stylish holiday accommodation sleeping 11 guests. 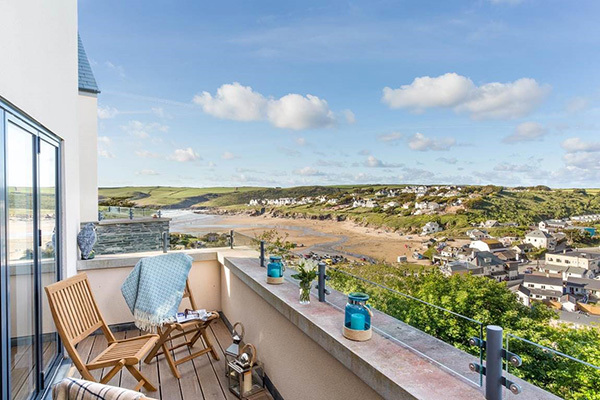 There are 6 bedrooms, 4 bathrooms, 2 reception rooms, fully fitted kitchen and sunny BBQ area – everything you need for a fabulous holiday in the very heart of Newquay. Suitable for large groups, Seaview has a great central location, just 70 meters from Newquay Activity centre, and 144 meters from Towan beach. Great for surfing, adventure activities, walking and partying. There are two parking spaces allocated to Seaview so you can park up and enjoy your holiday with everything within easy reach. Oh! and did I mention the fantastic Sea Views?